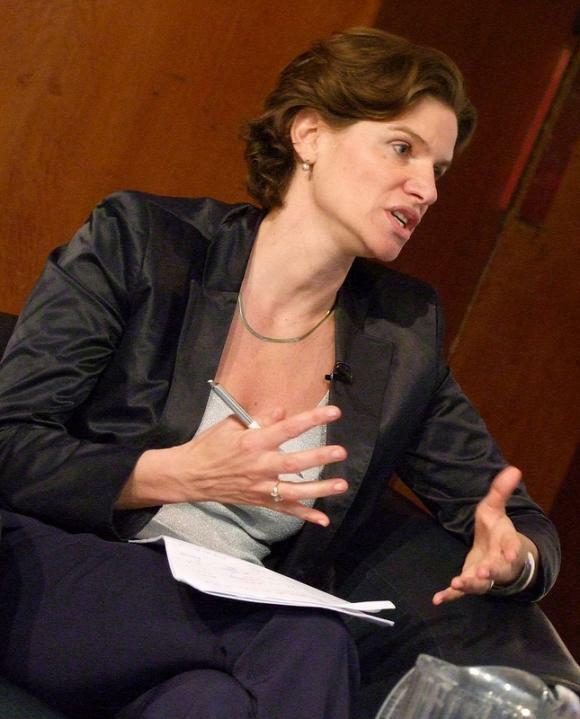 The next meeting of Economists Against Austerity is pleased to have Prof. Mariana Mazzucato as the key speaker on what really happens in the process of innovation. Andrew Simms (Global Witness) will respond. This promises to be a different take on the relationship between innovation and inequality: it’s not about skills but value extraction. The talk will focus on the relationship between the State and the Market. I will argue that the State not only ‘fixes’ different problem/failures in the market (of which there are many) but also actively shapes and creates markets. It does so in the face of extreme risk and uncertainty. The different implications of this will be considered (theoretical, empirical, and ‘political’) of the blindness of economics (as a discipline) to understanding the State as market maker and lead risk-taker in capitalist economies - beyond the traditional ‘market failure’ framework. The talk will build on her recent book The Entrepreneurial State: debunking private vs. public sector myths as well as recent work with Bill Lazonick on the relationship between innovation and inequality. NB: Security at Parliament has been very slow recently. Please aim to arrive at 6pm for 6.30pm. Meetings are open to the public, no invitation required. Santander was fined £12.4 million yesterday for giving nearly 300,000 customers bad advice. The Financial Conduct Authority (FCA) said it had uncovered "serious failings" in the investment advice the bank gave to about 295,000 people - most of them pensioners. Santander staff were not trained properly and didn't grasp customers' circumstances or the level or risk they were prepared to take, the FCA said. The bank also failed to make sure information was clear and didn't regularly check the suitability of investments. The FCA said customers were at "significant risk" of receiving bad advice between January 2010 and December 2012. Santander signed people up to nearly 350,000 investments worth £7 billion over that period. The poor advice was exposed by a mystery shopper probe carried out by former regulator FSA at banks in 2012. It caught Santander staff telling customers that their investments will "likely double" and that "in 10 years it will beat cash by 87 per cent" even though the term was for five years and returns were not guaranteed. Customers were generally aged 60 or over and the average investment was £24,000. Left Economics Advisory Panel co-ordinator Andrew Fisher welcomed the fine but said Santander bosses should face charges. "In the wake of the bank crash and the scandals of PPI and Libor, this is yet another example of the corrupt UK banking culture which has ripped off people and small businesses. "Scandalously it is clear that Santander encouraged staff to mislead financially naive and vulnerable elderly customers into buying inappropriate products." Santander said it has since overhauled parts of its business. It will contact affected customers and compensate those left out of pocket but the FCA said redress was likely to be minimal given that investment returns have been boosted by rising stock markets in recent years. Despite Ed Balls saying Labour will back the welfare cap, because Ed Miliband has already expressed support for a welfare cap, here are five reasons why Labour MPs should vote against on Wednesday (26 March). If you have a Labour MP, email them (template letter via Left Futures). The welfare state was founded on the principle of "from each according to their ability, to each according to their need". This government has failed to address that need: it's welfare programmes are failing - from the Work Programme to the Youth Contract to the Work Capability Assessment. Failing privatised schemes need capping, people in need do not. In fact the UK spends less on social security than other developed nations, and before the recession welfare spending was falling (read more here, via TUC). Low pay, weak trade union rights and an unregulated rental market. When pay is too low or there isn't enough work, people become eligible for tax credits and housing benefit. As the 1945 Labour manifesto said, “there is no reason why Britain should not afford such programmes but she will need full employment and the highest possible industrial efficiency in order to do so”. This government has failed to meet those criteria. Both tax credits and housing benefit for people in work are subject to the welfare cap. If wages continue to lag behind inflation, and rental costs continue to exceed inflation, that will mean welfare costs rise. Under this proposal, disabled people's benefits or pensioners' winter fuel allowance could be cut because landlords jack up rents or because employers don't give decent pay rises. Disabled people have already suffered the most under this government's cuts to social security - with the failed Work Capability Assessment for Employment and Support Allowance (ESA), the cuts to Disability Living Allowance (DLA), the closure of Remploy and the forthcoming abolition of the Independent Living Fund. Both DLA and ESA are within the welfare cap. They have also suffered a massive rise in disability hate crime, which follows the demonisation of those on benefits by Tory politicians using the divisive language of 'skivers', 'shirkers' and 'scroungers' - which has then been echoed in the media. With half a million families using food banks, an extra million people in poverty, homelessness rising, and the number of families housed in B&B accommodation at a ten year high - what will a welfare cap do for them? It is a gimmick, but a nasty gimmick. And Labour MPs should reject it. Well I hope you’re grateful. Two years ago the Chancellor was taxing your pasties – that is what you people eat isn’t it? And taxing your caravans – that is how you people holiday? You’re getting tax cuts on beer and bingo (or working class culture as the Chancellor calls it). See, tax cuts aren’t just for big business and millionaires, they’re for you – the little people – too! So aside from the Tories' lame efforts to persuade us they're on our side, what were the main things we learned in the Budget? ISAs – who can save £15,000? Someone working full-time on the minimum wage doesn't even earn £15,000 a year. And what's underpinning Osborne's forecast for more growth? The assumption is more household debt - which will rise to the levels that precipitated the crisis. There's also some utterly delusional figures for business investment rising between 8-10% year-on-year for the next three years. An array of green taxes were scrapped or capped in the Budget, making more of a mockery of the Coalition's "greenest government ever" rhetoric. The Housing crisis – nothing in there that will build the homes our country needs, nothing to tackle rising homelessness or the rising costs of paying the rent. We are back to a pre-war situation where more of us are dependent on private landlords, with not enough council housing and fewer able to afford a mortgage. Jobs or industrial strategy – far from being a budget for 'doers', following his 'march of the makers' budget, OBR projections show UK exports falling in future years. This is a government - to be fair, like those before them for the last 35 years - without a serious labour market or industrial strategy. The recovery in unemployment is due to low wage, insecure jobs. And the energy crisis – nothing to tackle the fuel poverty which disproportionately affects the poorest pensioners; and nothing to address the UK's woeful investment in renewable energy, in which we lag behind the rest of Europe. While Osborne rattles on about his modest and delayed economic growth, and the 24 hour news tells us every hour how the FTSE is doing, what would an economy look like as if people mattered? Are we reducing poverty and inequality? Are people's living standards rising? Is the tax gap - the £120bn of avoided, evaded and uncollected tax - reducing? Is the economy stable and environmentally sustainable? And you can see how that happened, we built the NHS, the welfare state, council housing, comprehensive education, and brought the utilities under public control. 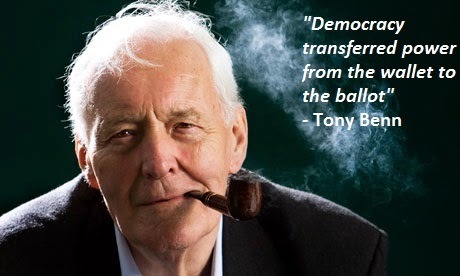 And sadly we can see how that has been reversed through privatisation - anti-democratically transferring power back from the ballot to the wallet, from the polling station to the marketplace. For me anything too important to fail should be in public ownership - if we want an economy where people matter. And we need economic rights, individually and collectively. The right to a minimum income, protection from being made redundant - why on Earth are profitable companies allowed to make people redundant - taking away people's jobs to give bigger bonuses to directors or higher dividends to shareholders? And trade union rights restored, so that we can protect our jobs, pay, pensions and fight for better working conditions. I hope that's a good basis for discussion. Thank you.